Compare South Australian electricity providers Lumo Energy, Alinta Energy, Origin Energy, Simply Energy, EnergyAustralia and AGL on their customer service, bill & cost clarity, online tools & advice, ease of sign-up, environmental sustainability, value for money, and overall customer satisfaction in Canstar Blue’s 2019 reviews & ratings. Lumo Energy has returned to the top of our customer satisfaction ratings for electricity providers in South Australia. Lumo achieved five-star reviews across most research areas, most notably customer service and value for money. Lumo leads the way from Alinta Energy, Origin Energy, Simply Energy, EnergyAustralia and AGL. Everyone knows that South Australians pay a ridiculously high price for power, so if you pick up the bills, it’s all about making the best of a bad situation. That could mean negotiating an improved deal with your existing provider, or finding a new one. If you’re sick of paying the highest electricity rates in the country, Canstar Blue’s annual review and ratings can help. In this report, we list SA electricity providers based on customer satisfaction, while offering a detailed electricity buying guide for the state, and revealing which companies currently have the cheapest prices in our database. Given the cost of electricity in South Australia, you’ll naturally want to find a cheap deal – and we can help you with that. However, we can also show you which SA electricity companies are rated highest based on the experiences of their customers. Paying a low price is good, but not if it comes at the expense of other factors, such as customer service. That’s why our ratings are designed to give you as much information as possible about your next electricity provider. This year, our review is based on the feedback of more than 700 bill-paying customers in South Australia. So, what did we find? Over recent years, our ratings have highlighted a clear divide in customer satisfaction between the biggest electricity providers and some of the smaller challengers, with Lumo Energy and Simply Energy dominating this category since we began comparing SA power companies in 2010. This year, Lumo Energy has proved a clear winner, scoring five-star reviews in most research areas, including customer service and value for money as it returned to the top of the table for the first time since 2015. Alinta Energy, Origin Energy and Simply Energy all scored four stars overall this year, with EnergyAustralia and AGL back on three stars. Lumo Energy is one of two electricity providers owned by renewable energy generation company Snowy Hydro – the other being Red Energy. Based in Melbourne, Lumo Energy offers a diverse range of electricity products in SA, including a plan targeted at customers who rent their home and often move, plus a deal that includes 2 for 1 HOYTS movie tickets. Most of Lumo Energy’s plans come with modest pay on time discounts, with additional savings on offer if you sign up to direct debit payments. Discounts are applied to the whole bill rather than just usage charges. If you don’t like paying by direct debit and are concerned about paying bills on time, Lumo has another plan that provides competitive rates with no conditional discounts. All deals come on a no-contract basis, plus there are no exit fees. Rates are variable, and some plans bring access to Lumo’s ‘Lumo Ameego’ shopping program, which gives members a range of exclusive discounts on anything from groceries to petrol. In this year’s review, Lumo Energy was rated five stars for customer service, value for money, bill & cost clarity, focus on environmental sustainability, online tools & advice and overall satisfaction. Preventing it from a clean sweep of top scores was its four-star review for ease of sign-up. Alinta Energy has emerged as one of the biggest challengers to the big three electricity providers – Origin, AGL and EnergyAustralia – in recent years. 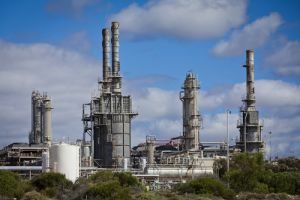 Now owned by Hong Kong’s Chow Tai Fook Enterprises, Alinta Energy is a major player in the Western Australia gas market and is now picking up customers all over the country, including in South Australia. Households seem to be drawn to its relatively simple approach, with just two retail market offers currently available in SA. The first plan comes with a guaranteed discount off electricity usage charges for 12 months, after which you may need to get back in touch with Alinta to secure another discount. The second plan increases the discount on the condition you pay your bills on time. These are both no lock-in contracts and rates are variable. Alinta Energy may not be Australian-owned any more, but it has major offices in Perth and Sydney. Making its debut in our electricity customer ratings for SA, Alinta Energy scored five stars for ease of sign-up, with a mix of three and four stars across the board, including four stars for customer service, value for money and overall satisfaction. Energy giant Origin has a comprehensive product range for South Australian customers, including three market contracts with varying discounts and conditions depending on personal preference. Its 0% discount product is now available in SA, and of the other plans, one boasts a pay on time discount, while another offers a bigger discount for paying by direct debit and receiving bills via email. In both cases, the discounts apply to usage charges and there is a 12-month benefit period. Option number three has a smaller guaranteed discount, but it is applied to the whole bill rather than just usage charges. The benefit period can be 12 or 24 months. Rates on all plans are variable and there are no exit fees. Some plans also come as an ‘online-only’ option, bringing an additional discount for those who join online. Origin also offers a fixed cost plan called ‘Predictable Plan’, with customers given personal energy quotes depending on their usage history. This year, Origin has improved from three to four stars for overall satisfaction, while also picking up better scores in certain areas, including five stars for focus on environmental sustainability and online tools & advice. Simply Energy is typically a very price-competitive electricity provider in SA, while offering one of the most diverse product ranges around. The company is owned by French utilities giant Engie, but remains based in Melbourne. Simply Energy is well-known for offering a wide range of electricity products, including an exclusive deal for RAA members that brings an additional discount, plus a plan that provides ‘free’ movie tickets. It even has a specific offer for AFL fans during the season. Simply Energy’s electricity products all include varying pay on time discounts off electricity usage charges, with contract periods of either 12 or 24 months. Rates are variable and exit fees may apply with some plans. The most successful electricity provider in our SA ratings over recent years, Simply Energy has to settle for four stars overall this time. However, it still performed fairly well, including four stars on value for money. As you might expect from one of the big electricity retailers, EnergyAustralia has various market offers for South Australians to choose from, depending on personal preference. Its flagship product has fixed rates for two years, plus a sizeable pay on time discount. Other plans also feature discounts, be they guaranteed or for paying on time. EnergyAustralia also offers a ‘no discount plan’, which promises simply low rates, if you’ve had enough of trying to work out discounts. Those who collect Velocity Frequent Flyer points may be interested in EnergyAustralia as one plan gives customers the chance to collect points as they go. The retailer’s discounts typically apply for just 12 months and rates on most plans are variable. EnergyAustralia also tends to offer a modest credit on your first bill when you sign up online, but this offer is not always available. EnergyAustralia received three stars for overall satisfaction this year, with a mix of three and four stars across the board, including three stars for customer service and value for money. 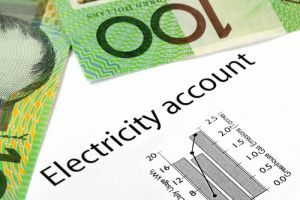 One of Australia’s biggest energy companies, AGL generally offers three market contracts to households in South Australia at any one time, with varying discounts and conditions based on different preferences. While AGL’s flagship product comes with no conditional discounts, just competitive rates, the retailer has other offers that do include discounts. These are usually available for paying on time, though AGL does at times also provide a guaranteed discount product. Benefit periods can last for 12 or 24 months depending on the specific plan. Most AGL products have variable rates but exit fees do not apply. As an added bonus, AGL customers can collect flybuys reward points when they pay their bills, with one point for each dollar spent, in addition to 10,000 points when you sign up online. AGL was rated three stars for overall satisfaction this year, with a mixed bag of scores across the board. While it rated four stars for online tools & advice, AGL received just two stars on value for money. In addition to their market offers mentioned above, all six companies also have standard contracts in SA. These are default electricity products that customers may find themselves on if their old market offer has expired, or they have never switched to a new plan. These retailers all operate on the SA Power network, meaning prices are consistent across the network and the state. Given the ridiculously high prices that South Australians often pay for electricity, you would be forgiven for thinking there wasn’t much competition between providers in the market. The price of any product or service generally gets higher when there is no competition. However, this is not the case in South Australia as there are many different electricity providers fighting hard for new customers. The problem is the cost of electricity generation, transmission and distribution, which these energy companies need to pass onto their customers. However, the extent to which these costs are passed on to households is the subject of much debate. South Australia is also heavily reliant on renewable energy generation, and during periods of very high demand – such as hot summer days – supply has occasionally failed to meet demand, resulting in blackouts. South Australia is home to more than 20 solar and wind farms, with a mix of private and public ownership. And while there are no more coal-fired power stations in the state, much of the electricity generated still comes from gas turbine power stations. AGL, Origin and EnergyAustralia all own gas turbine power assets in South Australia. 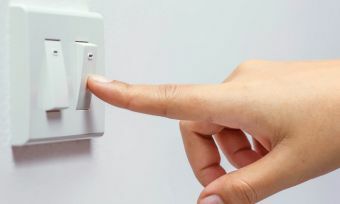 Despite the increasingly competitive nature of the South Australian electricity market, recent figures from the Australian Energy Regulator show that about 75% of households in SA remain with one of the big three power companies – AGL, Origin and EnergyAustralia. This is largely because many households have not switched electricity providers since the SA electricity market was deregulated back in 2012. Deregulation resulted in many new providers entering the local market, and means that they are now free to set their own prices, products and conditions. Previously, electricity prices in SA had to be agreed with the Essential Services Commission of South Australia. 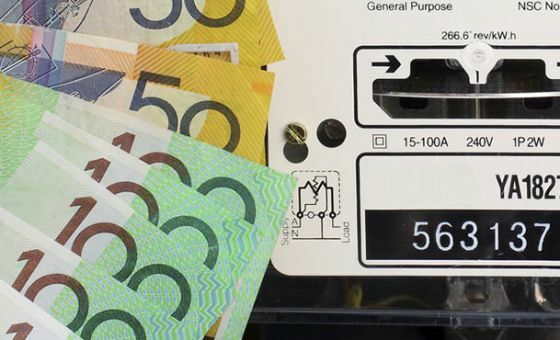 While the removal of price regulations has increased competition, the merits of it remain debated, especially considering the high prices South Australians pay. Standard contracts: Energy companies must offer a standard retail contract in addition to their market contracts. Standard contracts have prices set by the retailers, but they also have various conditions still set out in law. There are no contract periods, no exit fees, and prices can usually only be reviewed every 12 months. However, with no conditional discounts available, standard contracts almost always work out work more expensive than market contracts. Market contracts: These are contracts set out entirely by the retailers. They come with varying contract lengths and conditions, but can provide the opportunity to save through conditional discounts, such as paying bills on time or by direct debit. Market contracts can also come with various sign-up incentives. However, prices can change at the provider’s discretion and exit fees may apply. 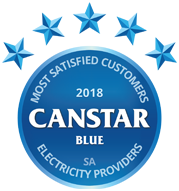 Canstar Blue’s electricity database shows that households in SA stand to save hundreds of dollars a year by switching from a standard contract to a market contract, even with the same provider, provided they stick to the conditions of their plan. Bigger savings could even be possible by switching providers. Based on typical electricity usage for a family of three, the difference between the cheapest and most expensive electricity plans in SA is almost $1,500 a year. According to the AER’s latest report, one in ten households in SA remain on a standard contract. Once you’re settled on the type of electricity contract you want, the next thing you need to understand is the charges that you’ll face. Electricity prices can vary considerably between providers, so it literally pays to get to know these charges, and what cheap energy rates look like. The two charges that make up your electricity bills are fixed supply charges and usage charges. Supply charges are what you will need to pay simply for being connected to the electricity grid. These are ongoing daily charges that remain the same regardless of how much power you actually use. Even if you go on holiday and don’t use any electricity for a couple of weeks, you will still be charged for supply. Expect supply charges to vary between plans and providers, from roughly 90 cents a day up to more than $1 a day. Usage charges are what you pay per kWh for electricity usage. These charges can vary significantly depending on your provider and the tariff structure of your plan. Generally, you can expect usage charges in SA to range from about 30c per kWh up to more than 50c, depending on your tariff. It’s important to get to know these two charges, which can be found in the energy price fact sheet of your contract. Working out what represents ‘cheap’ rates can help you pick the plan that’s best for you. Keep in mind that households with low usage can expect supply charges to account for a higher proportion of overall costs, while high usage households can expect usage rates to account for a higher proportion. With almost 20 different electricity providers now operating in South Australia, you won’t be surprised to discover that there are plenty of options to consider. In their most basic form, energy plans fall into two categories – those with variables rates and those with fixed rates. Most electricity retailers in SA offer variable rate plans. This means the amount you’re charged for electricity supply and usage can change at the retailer’s discretion. Standard contract prices in South Australia are usually only changed every 12 months, but the retailers can and often do change their pricing on market contracts during the year. Only a handful of electricity providers in SA offer fixed rate plans. This means the prices you pay for supply and usage are locked-in for the period of your contract, usually two years. Fixed rate plans are usually only offered by the big three power companies. Fixing your rates for a period of time could protect you from increasing wholesale costs. 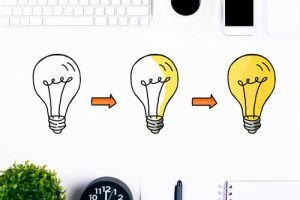 While some energy retailers play it fairly straight with their electricity plans, it’s common to see various promotional offers or plans targeting a specific consumer segment to get new customers to sign up. Simply Energy, for example, has a specific product for RAA members in SA, bringing an additional discount. Simply Energy also boasts a plan for movie lovers, bringing up to 32 ‘free’ cinema tickets throughout the contract period. Lumo Energy, meanwhile, has a rewards program whereby customers can get money off at various retail outlets and theme parks, while AGL’s customers can collect flybuys points through their bills. While tempting, it’s important to compare electricity providers in SA on their supply and usage charges before taking any discounts and incentives into account. Most electricity plans in South Australia come with a feed-in tariff for solar customers. However, feed-in tariffs in South Australia can vary hugely between providers. Despite SA enjoying one of the highest penetration rates of solar PV in the country, there are few solar-specific plans available. Nevertheless, the retailers are competing to offer the most attractive feed-in tariffs, with rates of up to 22c/kWh currently available to new customers. What are you getting a discount off? Is it usage charges, or your entire bill? Discounts off your entire bill may sound more beneficial, but this is not necessarily the case. What do you need to do to get the discount? Do you have to pay your bills on time, or pay by direct debit? It’s common that the biggest discounts are provided when you also opt to receive bills and other correspondents via email instead of regular mail. You may also find the best deals are only available by signing up online. What is the benefit period? The majority of discounts are usually only available for one or two years, after which you could start paying your provider’s full rates for power. Some discounts are ongoing, but don’t just assume this means you’re getting the best deal. Whatever type of discount you decide is best for you, make sure you can meet the conditions. Failure to meet the conditions will result in much higher prices, and you may also be charged a fee. With single rate tariffs, households are charged the same price for electricity regardless of when they use it. With time of use tariffs, households could be charged different rates for electricity depending on what time they use it (i.e. during peak or off-peak times). In South Australia, the majority of households have single rate tariffs, so the prices you pay for electricity will not depend on the time of day you use it. If you’ve been in the habit of using your washing machine, dishwasher or other major appliance late at night because you thought it would save you a few bucks, you are probably mistaken. While some states have different single rate tariff options, in SA there is just one standard electricity tariff for all residential customers, but the way retailers use it can differ. This is called ‘Tariff 110’, but you may also see it called ‘peak’, ‘domestic’ or ‘anytime’ on your bills. Tariff 110 comes with ‘block rates’, meaning that the price you pay for electricity will depend on how much you actually use, rather than when you use it. This basically means your energy usage is split into daily blocks, with the first ‘block’ of power (typically 11 kWh) usually charged at the lowest rate (say, 40c per kWh). The following block could then be charged at, say, 43c/kWh, with the final block costing you 47c/kWh. Where retailers differ is that some split usage up into just two daily blocks (the second resulting in higher prices), while others split their usage charges into multiple daily blocks, with rates getting gradually higher. You will find plans with as many as five different block usage rates during the day. There are pros and cons to this way of charging. And this means it’s important to understand your household energy consumption, to find the best plan for your needs. If you’re a large household with high energy usage, pay close attention to the price of power in the latter blocks. If you’re a small household with modest usage, you’ll likely be better off finding a plan with the cheapest first block of power, for example. While the majority of electricity plans in South Australia come with single rate tariffs and block rates, you may still find some offering time of use tariffs. However, to access any time of use tariffs, you will need to have a smart meter installed at your property. Momentum Energy seems to be the most prominent in SA when it comes to time of use tariffs. You will also find block rates applied to time of use pricing, meaning that you could be charged different rates depending on when you use power and how much you use! In addition to your primary tariff (single rate or time of use), you may also have a controlled load tariff. A controlled load is a separate metred circuit to the rest of your property, which means that you can be charged a different, lower rate for major appliances, usually your electric hot water system or pool pump. A controlled load tariff (also known as Tariff 116 in SA) should be much cheaper than your primary tariff, often costing less than 30c per kWh. The catch is that power is only supplied for a few hours each day. Also, be sure to check your retailer’s energy price fact sheet for ‘demand’ charges. This new type of tariff is designed to ‘better reflect customer needs and the impact this may have on the network’. Essentially, customers are charged a low flat rate for electricity usage, plus the standard supply charge. In addition, they will need to pay a ‘demand charge’. This is a daily charge that reflects peak electricity usage within a 30-minute period during peak hours (typically 4pm – 9pm). 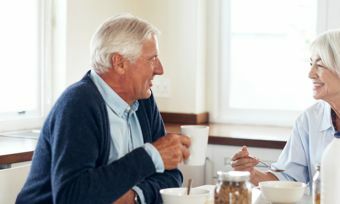 Some providers adjust their pricing between summer and winter, meaning you could be charged higher rates in summer – when there is greater demand for energy – and lower rates in winter. AGL is the most prominent retailer for seasonal pricing. Your household energy usage and subsequent tariff structure. This is why it’s important to have a recent bill handy when you go to compare plans on our site. The cheapest (or best value) product for you may be different to the cheapest plan for your neighbours. Whether you want the price security of a fixed rate plan (over one or two years), or the flexibility of a no-contract variable rate offer, which means you can switch providers at any time in search of a better deal. Whether you are happy to play the ‘discount game’ to get the cheapest prices. The lowest prices are often only available through conditional discounts, though a growing number of retailers are now going down the no discount route, to this could change in time. You should also keep in mind that the ‘cheapest’ electricity provider doesn’t necessarily mean the ‘best’. Our ratings are based on customer satisfaction, rather than just the cheapest rates. Our cost comparison report for SA electricity providers, however, is a useful guide to which retailers offer the cheapest deals. Ultimately, you will want an electricity provider that has competitive rates, but also delivers reliable bills and good customer service when you need to. Realistically, if you haven’t switched electricity providers for two years or more, you are almost certainly paying more for power than you need to. This is because the cheapest offers are often made possible by the conditional discounts we discussed previously. Furthermore, the best deals are generally reserved for new customers. Even if you’re satisfied with your existing provider, it’s worth reviewing your options from time to time and challenging them to match the discount they offer new customers. The power is typically with new customers, or those who threaten to leave. So if you’re ready to save some money on your bills, it’s time to get proactive. On top of its mobile phone plans, you may not know that Amaysim also offers electricity and gas in South Australia, NSW, VIC and QLD. 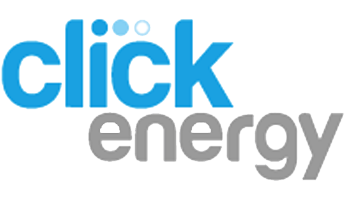 The company previously acquired existing retailer Click Energy, but the two brands compete independently. In South Australia, you’ll find two market offers from Amaysim Energy, one with a higher feed-in tariff catered towards those with solar panels. With the provider’s current offers you’ll avoid big headline discounts, lock-in contracts and exit fees, and have the choice of monthly billing. This is a change from when the provider first launched electricity plans in the aforementioned states, where it mirrored Click Energy in boasting big discount plans. 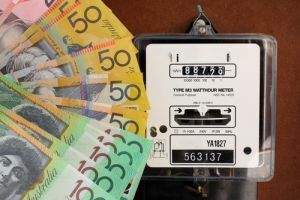 Owned by telco and energy company Amaysim, Click Energy has made a name for itself in the South Australian electricity market by offering some of the biggest conditional discounts seen in the state. It’s often described as one of the largest ‘second tier’ energy providers, falling short to the big three. Click has one market offer in SA, on top of its two dedicated solar plans, offering quite generous pay on time discounts and feed-in tariffs. From this retailer you can expect an ongoing benefit period, meaning your discount won’t just expire after a year or two, on top of it being applied to your whole bill, rather than just the usage charges. It is important to reassess the value of your plan fairly often, as Click Energy has a habit of changing discounts and rates more regularly than most. Commander typically offers just one market plan in each state, with South Australia being no exception. You can expect to see a fairly generous pay on time discount off usage only with Commander, although the discount period is ongoing, meaning it won’t expire after 12 or 24 months like in many cases. What’s different about Commander that it primarily operates as a business electricity retailer rather residential, which is what you’ll see advertised on its website. The Commander brand is owned by Vocus Communications, which also includes iPrimus and Dodo. Diamond Energy is among the ‘greener’ electricity retailers on the SA market, in fact, ranking second in Greenpeace’s Green Electricity Guide. 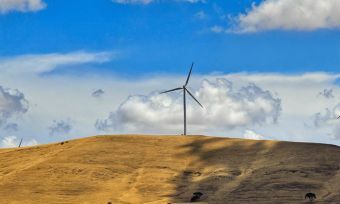 This is perhaps deserved as the retailer owns several renewable energy generators and supports environmentally-minded Australians through energy products that help solar customers make the most of their investments. On offer in South Australia is one market offer that boasts a modest discount for the first two years. This discount applies to the whole bill, and is only applied when you pay on time, through direct debit and sign up to email billing. Dodo (yes, the one that popped up on the telly in the early 2000s selling internet deals) is in the present-day retailing electricity and gas through Vocus Communications, using the name Dodo Power & Gas. It is considered one of the larger ‘second tier’ energy retailers in most areas due to its relatively large customer base. Within SA, NSW, VIC and QLD, you’ll find just one market contract from Dodo, typically coming with a large pay on time discount and an ongoing benefit period. Energy Locals is an electricity provider that only came into the market within the last few years. It prides itself on being environmentally conscious, claiming that all of the power you use will be carbon offset through the purchasing of relevant renewable certificates. Another interesting fact about Energy Locals is that you can opt-in to having a portion of energy bill donated to a charity or cause of your choice. Something else that’s slightly unusual is that the retailer’s plans require you to pay a weekly fee as well as your normal rates to become a ‘member’, and in some cases to gain access to wholesale prices. But if that doesn’t suit you, you’ll also find a simple offer that offers reasonable rates with no conditional discounts or exit fees. Owned by Hydro Tasmania, which claims to be Australia’s largest renewable energy producer, Momentum Energy retails electricity to customers in South Australia, NSW and Victoria. In SA, you’ll find one market offer which comes without conditional discounts and with variable rates. On this plan, Momentum claims that through its parent company, it will contribute the equivalent amount of wind, solar and hydro power that customers consume back to the grid. This plan also comes with no exit fees. Powerclub follows many other electricity providers in aiming to ‘simply’ the energy market, and is available across SA, NSW and QLD. After paying an annual membership fee to ‘join the club’, you’ll gain access to wholesale electricity rates which are published every 30 minutes. In order to smooth out any spikes in the wholesale electricity market, and ensure you won’t be met with bill shock, the retailer has implemented a personal ‘Powerbank’, with which you place a one-off deposit for your own benefit down the track. Remember that on top of these fees you’ll still have to pay the wholesale electricity rate, as well as a daily operational fee. 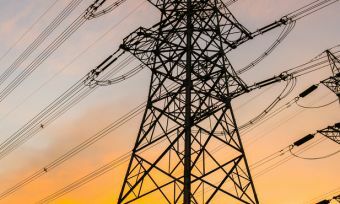 Backed by Aussie energy giant AGL, Powerdirect is offering electricity plans in South Australia, NSW, Queensland and Victoria. It generally markets itself as a business electricity retailer, but also has competitive residential offerings available. This provider is advertising just one plan in SA, which comes with a seemingly generous pay on time discount off electricity usage charges. There is a 12-month benefit period. According to Greenpeace’s Green Electricity Guide, Powershop is Australia’s most sustainable energy company, owing to its investments in renewable generation and for carbon offsetting its customers’ electricity usage through the purchase of renewable energy certificates. Powershop has recently come to the South Australian market, offering up its signature ‘prepaid’ power plans to those living in Adelaide and surrounds. With Powershop’s ‘power packs’, you can purchase between one-and three-months’ worth of electricity ahead of time, or settle for a more straight-shooting ‘lite’ product, which comes with reasonable rates and works like most common plans. For those who like to engage with their energy retailer fairly often, Powershop also has various promotional packs that are offered from time to time that are typically more heavily discounted. Whilst QEnergy has in the past placed a heavier focus on its business energy offerings, it has in recent years expanded to reach residential customers within South Australia, VIC, NSW and Queensland. It currently only has one market offer available in SA, which carries no discount. And whilst this brand follows a range of energy retailers in its crack at ‘simplifying the energy industry’, it does change its electricity rates and plans more often than most other providers. The retail brand of Snowy Hydro, one of Australia’s best-known renewable energy generation companies, Red Energy operates in SA, NSW, VIC, QLD and the ACT. Red Energy’s plans are fairly consistent across states, and in SA you’ll find its signature 10% discount plan, a similar offer with the addition of bonus Qantas Frequent Flyer points, and a final Qantas plan with a higher point earning per dollar spent. All of these plans offer discounts off the whole bill and have an ongoing benefit period. These are variable rate products. Red Energy also has its own rewards program called Red Energy Rewards. Sanctuary Energy is offering both residential and business plans in South Australia, NSW and Queensland. For the time being this retailer is only making available standard contracts, which can be non-competitive when compared with market plans offered by other energy providers. Sanctuary does, however, have a commitment to environmental sustainability, helping all of its members through energy efficiency initiatives, with the goal of reducing its customers’ carbon footprint. Here are the current prices on our database for the SA Power network in Adelaide. Prices are based on typical energy usage for three-person households at postcode 5033. Use our comparison tool for specific prices in your area. *Costs based on annual usage statistics from AER for a three person household on the SA Power network in Adelaide, April 2019. One non-exclusive energy plan per retailer shown. There may be other retailers in your area. Canstar Blue surveyed 12,000 Australian adults across a range of categories to measure and track customer satisfaction, via ISO 26362 accredited research panels managed by Qualtrics. 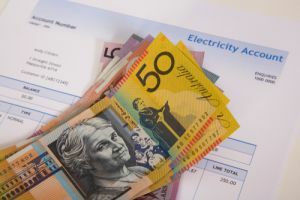 The outcomes reported are the results from customers within the survey group who live in South Australia, have an electricity account, and pay the bills – in this case, 734 people.